Regularly backing up data should be at the top of every Mac user's to-do list (Windows users, too). If you haven't yet set up a backup routine to keep your data safe, this list of free Mac backup applications will help you get started. Don't delay; tomorrow may be too late. A quick word about the free apps: some of the selected apps are indeed free, such as Apple’s Time Machine, which is included with every copy of OS X. Other apps are a free/paid composite. They will operate without issues as a backup app, but the paid versions have additional features and niceties that are usually well worth the price. If you don’t currently use a backup app, it is highly recommended giving one of these Mac backup apps a try. You're going to feel a lot better knowing that, should something happen to your Mac’s storage system, you can quickly retrieve any lost data and get right back to work. Integrates seamlessly with Apple Time Capsule. Lets you "go back in time" to see what a file looked like in the recent past. Less secure than cloud storage. Doesn't archive data; old backup data is eventually replaced by new data. Time Machine, which is included with OS X 10.5 (Leopard) and later, is the backup app of choice for many Mac users. And why not; it's easy to set up and easy to use. It's also easy to forget about. Once you set it up, you can go about your daily business without giving backups a second thought; Time Machine will automatically take care of everything for you. Time Machine also works with OS X's migration assistant, making it an effective choice for moving data to a new Mac as well as performing backups. While it offers a number of attractive features, Time Machine isn't perfect. We recommend using Time Machine as the core of your backup strategy and relying on other backup apps for additional capabilities, such as cloning or remote/cloud backup. One-step restore process makes it easy to retrieve backed up files. Simplistic UI leaves little room for user mistakes. You cannot choose specific folders or files to back up. Slower than other solutions since it backs up everything each time it runs. SuperDuper is a backup application that supports the traditional full and incremental backup approaches many of us are used to, but it's also capable of creating bootable clones of a startup drive. This is one feature that Time Machine lacks and which SuperDuper performs quite well. SuperDuper's core features (creating clones and backups) are free. The paid version of SuperDuper includes additional features, such as the ability to set up schedules to automate your backups or clone creations; Smart Updates, which are incremental versions of a clone and greatly reduce the time it takes to update an existing clone; and user scripts, so you can create your own backup routines and schedules. More advanced features than other solutions. Restore speed is significantly slower than backup speed. Interface may be confusing if you're new to such software. Carbon Copy Cloner is the granddaddy of Mac cloning software. It has long been a favorite of the Mac community and is a must-have app earning a place in my list of applications I always install on my Macs. Carbon Copy Cloner is widely used for creating bootable clones, but it can also create full and incremental backups, schedule tasks, and back up to any networked share that your Mac can mount on its desktop. Automatic encryption keeps your backup data safe from hackers. Less expensive than Carbon Copy Cloner. Doesn't provide a data log of backup activity. Get Backup from BeLight Software is available in free and paid (pro) versions. The pro version has some nice feature enhancements that are worth the small additional charge, but the free version has all of the basic features that many Mac users will ever need. This includes the ability to create full and versioned backups, exclude files and folders, synchronize files and folders, and create bootable clones of a startup drive. One thing to note: The Get Backup app is available from both the Mac App Store and from BeLight Software's website. The Mac App Store version of Get Backup doesn't include the cloning capabilities because Apple doesn't allow apps that require administrative privileges to be sold through the Mac App Store. UI packs an impressive number of features into a single window. Incremental backups save time and space. The user manual is just an infographic rather than detailed text. Graphic notifications during backup are annoying and consume CPU resources. Mac Backup Guru is another backup app that specializes in cloning, that is, creating an exact copy of a selected drive. So exact that if the target drive is the one you use as your startup drive, the resulting clone will also be bootable. 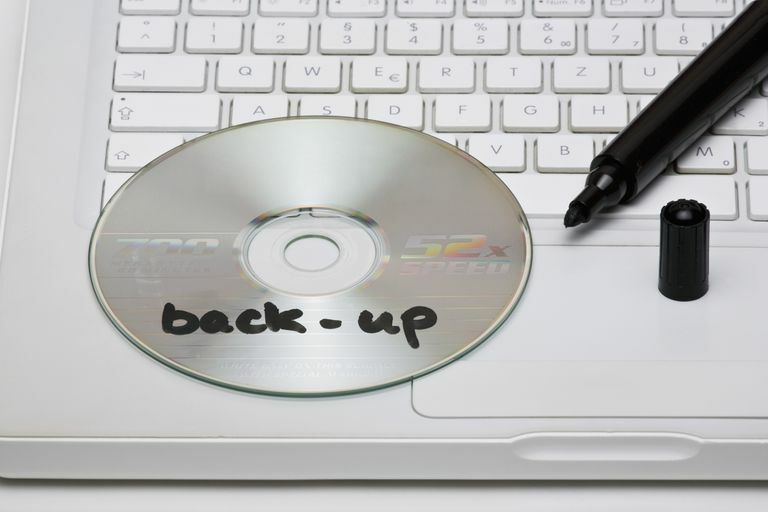 Of course, in today's backup market, cloning a drive is nothing new, and most backup utilities can perform this service. Mac Backup Guru has a few additional tricks it can perform. Besides cloning a drive, Mac Backup Guru can sync any selected folders, and create incremental clones, which cuts down on the time it takes to keep a backup clone current. It also has a full scheduling system so you can automate your backups. Reliable documentation, customer service and technical support. So lightweight you'll likely never notice it running. Frequent updates and requests for user feedback are slightly annoying. Formally known as CrashPlan, Code42 is primarily an off-site backup application that uses the cloud for storage, however, there's a free version of Code42 that lets you create your own local cloud, so to speak. You can designate any Mac, Windows, or Linux computer on your network as the destination. Code42 will use this computer as the backup device for all of your other computers. You can even backup to remote computers that aren't your local network, say the computer of a good friend who lives next door. In this way, you can easily create off-site backups without trusting your data to the cloud. The free version of Code42 supports full and incremental backups, file encryption (a good idea if you're backing up to a computer that you don't control), running automatic backups on a daily schedule, and the ability to back up any external drives attached to your Mac. Restore Wizard feature lets you restore files indefinitely. Excellent bargain for what you get. Only yearly premium plans are available. Free version includes annoying pop-up ads. IDrive is another online-based backup service that can be used with your Mac. Besides your Mac, IDrive can backup your PC as well as your mobile devices. IDrive offers a free basic level, allowing you to backup up to 5 GB of data from any device. If you need more backup space you can choose the Personal 1 TB plan which at the time of this writing was $69.50 a year. iDrive goes beyond basic backup service: It also allows you to synchronize files between devices, and files can be marked for sharing.